YouTube is world’s largest repository of music, humor, entertainment, spiritual and educational videos. You name the genre – YouTube is sure to have it. Since most popular and upcoming musicians seem to have a presence on YouTube. Watching the video isn’t always necessary to enjoy the content. Sometimes the audio is enough, or all that’s needed. One of the most annoying restrictions on YouTube for Android is that it automatically pauses the video you're watching or listening to when you navigate to another screen or open another app on your device. But there are ways around this. 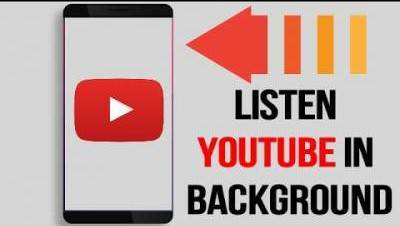 Read on to find out how to play YouTube videos in background. The easiest and most cost effective solution is to use the FireFox browser rather than the YouTube app. This browser will allow you to continue to listen to the video of your choice with the screen off or while doing something else on your device. You can download FireFox below. If you want more features than this, read on. Flytube offers a new way to watch videos from YouTube on your Android device. Watch them anywhere you want. Flytube is an app to convert almost the entire Youtube catalogue into your own music library.